Give your child the best gift ever: the skills to let her emotions and logics work together! What's the #1 Reason Parents Use Hypnosis? LEARNING IMPROVEMENT! When it comes to school there are many problems kids can develop. We help with: Classroom Performance, Improving grades, Friendliness, Low self-esteem, Reading, Writing, Memory, Better Grades, Peer Pressure, Friendship issues, and more. Why does Hypnosis Work So Well with Children? Hypnosis works so well with children because they have fewer imprints and less years of reinforcement in their minds. Their subconscious is highly receptive because, as children, they are literally creating the structure of their inner library and its beliefs, impressions and life experiences. These will affect them for the rest of their lives. For this reason children have a natural drive and hunger for new experiences and ideas. They love to discover things and are very open to learning, receiving and even responding to new ideas. It is commonly known among hypnotists that children are the very best subjects by far! Children aged 6 or older respond best to hypnosis. Most Children only need 2-3 sessions with improvement beginning from the very first session. In the first session, just as with adults, the child identifies the problem and decides what kind of outcome they want. 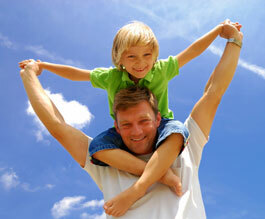 It is also a time of building rapport and trust between child and hypnotist. During this session the child is evaluated to determine that they are willing to work with the hypnotist and that they want to change. Most children reach powerful levels of hypnosis far faster than adults. We may use one or any of the following to help transform a child while in hypnosis: Stories, visualizations, imaginative games, role playing, magic, puppets, and any other tool we feel we may need! What Else can be Helped? Who's the Best Hypnotist in the World? For clients younger than 16 yrs old, I highly recommend that at least one parent goes through the process first. You will learn how to resolve the stress in your life so that you can help your child effectively. Many scientific research demonstrated the positive correlation between the parents' emotional status and the children's physical and emotional wellbeing. Parents with stressful lives may be making their children as well as themselves vulnerable to illness, research suggests. A University of Rochester study, reported by New Scientist, found sickness levels were higher in children of anxious or depressed parents. It also found links between stress and immune system activity in the children. The Wildest Colts Make the Best Horses: John Breeding's work in defense of the development of spirited young people. Prior to writing the book, The Wildest Colts Make the Best Horses, John wrote an 18-page booklet containing the germ of his thinking on this topic. The entire text of this booklet is here for your benefit. Click here to download it. "Brian tells me that he made some real breakthrough at hi last session. As a result, he says, he was able to give his music "his all" and played his best concert ever! We are elated! No doubt, this time we have crossed a bridge - with your help.